Place sultanas in a bowl or saucepan and just cover with water. Bring to the boil then simmer for 5 minutes. Drain and cool. Mix butter and sugar until light and fluffy, add lemon juice, grated rind and vanilla essence. Add the eggs one at a time, beating well after each addition. Add the flours and milk, then stir in the sultanas and candied peel. Pour into a well greased 21-23 cm square cake tin with the base lined with baking paper. Bake for 1 hour then reduce the temperature to 160°C and bake for a further 50-60 minutes, or until a skewer inserted into the centre of the cake comes out clean. Cool in the tin and store in an airtight container. 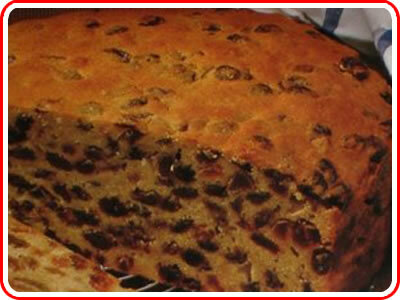 Fruitcakes like this are best left for 12 hours before slicing.